Arshad Varsi will works with Sunny Deol in "Bhaiyaji Superhit"
After a hit jodi with Sanjay Dutt in Munna Bhai Series, now Arshad Varsi will works with Sunny Deol in "Bhaiyaji Superhit". "Bhaiyajj Superhit" is not only Action movie but it will also contain some Comedy or funny moments. 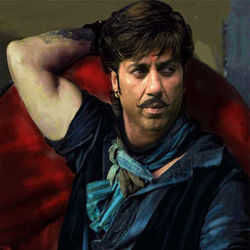 Arshad Varsi wants to pair with "Sunny Deol" as he did with Sanjay Dutt in "MunnaBhai MBBS" and "Lage Raho Munnabhai". Sunny Deol will play double role in "Bhaiyaji Superhit". Amisha Patel may be a lead actress in this movie after a long time this pair will romance in upcoming Movie. "GADAR- Ek PremKatha" was the one of the hit movie of Sunny Deol and Amisha Patel.